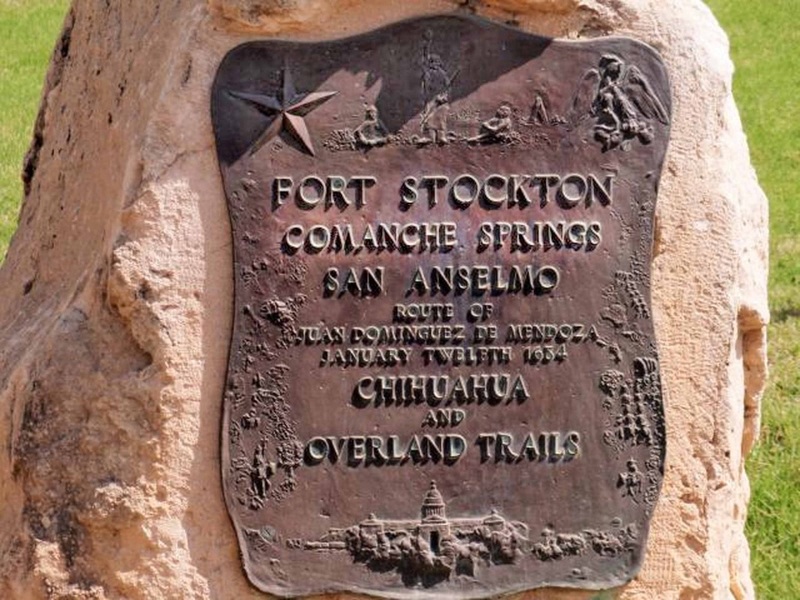 My personal observation (which is not in any way a historically researched and documented statement) is that those of us who were bilingual used to refer to Fort Stockton as "Comanchi" when speaking in Spanish and as "Fort Stockton" when speaking in English. But even that is not complete. 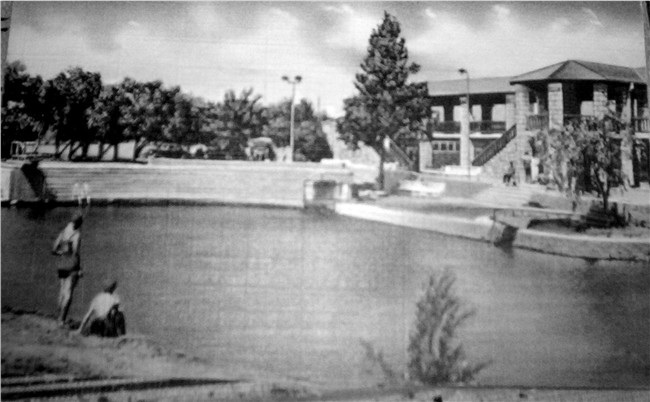 I spoke in Spanish with younger family members and I referred to Fort Stockton as “Fort Stockton.” But with older people, such as my grandmother, I referred to it as “Comanchi.” With my parents and my aunts and uncles, I remember calling it "Comanchi" when I was quite young, but by the time I was in my teens I called it Fort Stockton when speaking to them in Spanish. 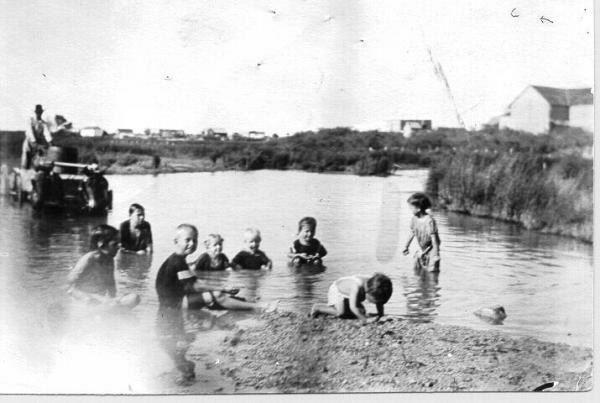 I have not called Fort Stockton "Comanchi" since the 1970's when my grandmother died. 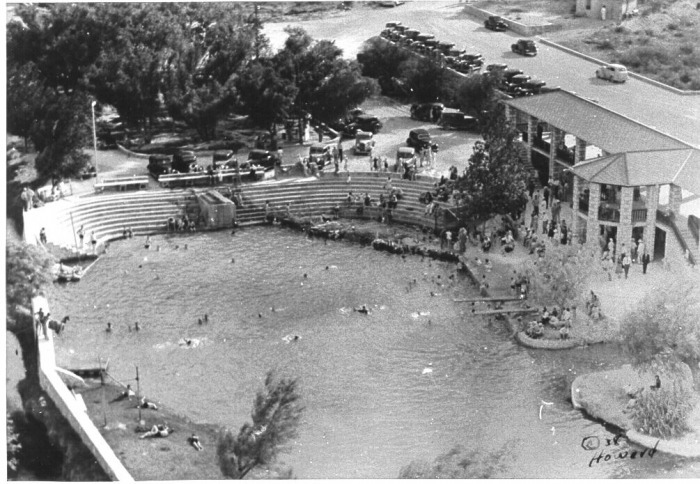 I guess that the reason Fort Stockton was known (is known?) 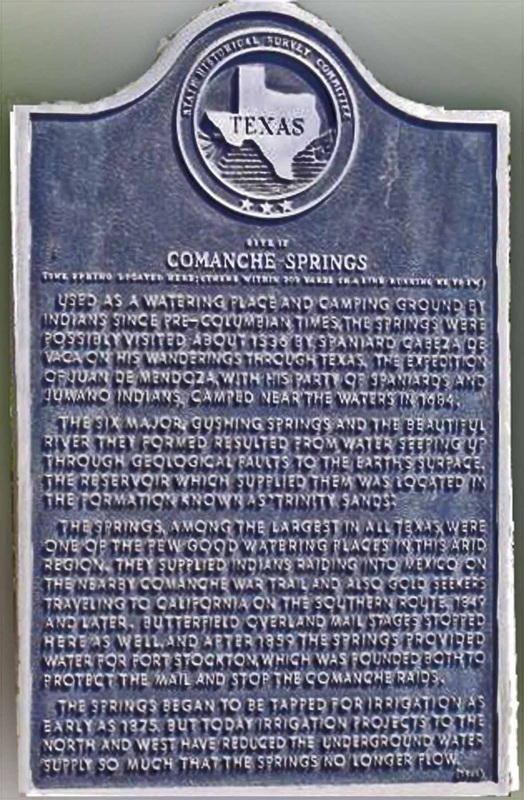 as "Comanche" probably has to do with the Comanche Springs located there. I think that people who spoke only English must have referred to Fort Stockton as "Comanche" too; and it would be interesting to learn when that usage occurred. But it looks like "Comanche" was used even in official records sometimes to refer to what is now Fort Stockton, county seat of Pecos county. I must point out that Ruperto Chavarria was married in Ojinaga so the record of his marriage was most likely recorded in Spanish. The record is not the actual document. Also, it is true that the city of Fort Stockton is different from the military camp or fort called Fort Stockton. 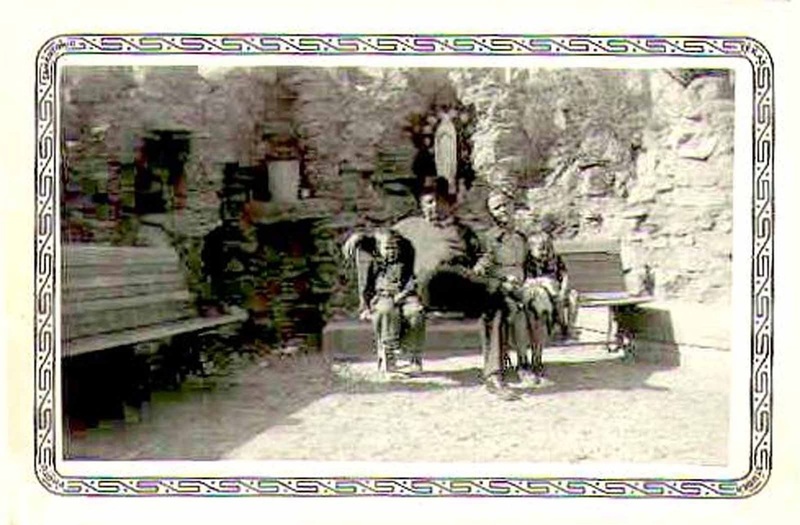 I don't believe the fort was ever the county seat of Pecos county. Am I wrong? I would like to see what your experiences are. 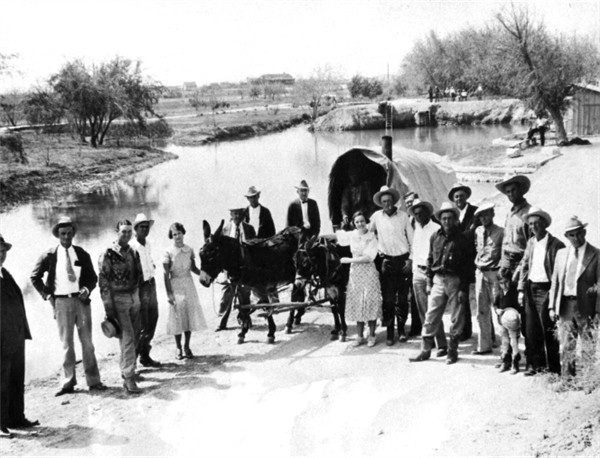 Did you call Fort Stockton "Comanche?" If so tell us about it. When did you do it? What language(s) were you speaking when you did it? If you stopped doing it, do you know when or why you stopped? Were you conscious of stopping calling Fort Stockton "Comanche" or did it just seem to happen? 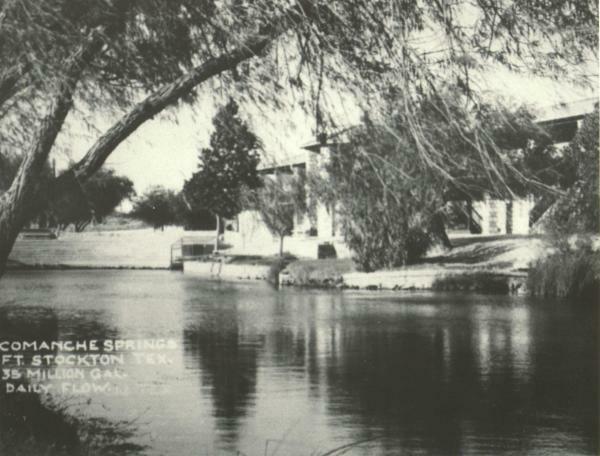 What do you know about the history of the habitation of the area around Comanche Springs? We want to know? 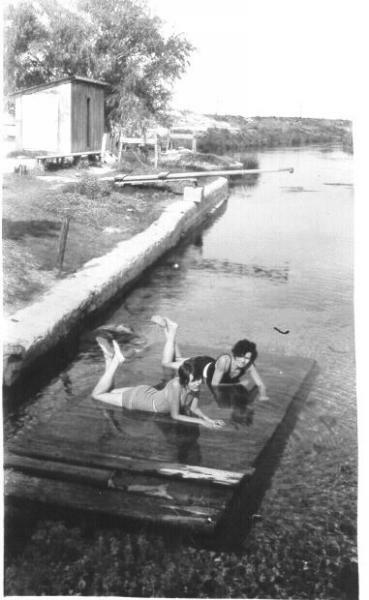 Please click on "Comments" above and share your contributions. 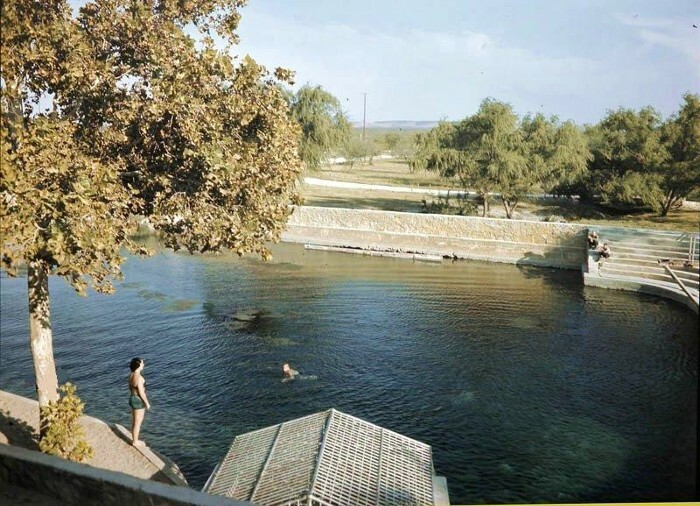 Even cars "swam" in Comanche Springs in the early days. Antonio Franco - not a historian, not even an amateur historian. My curiosity stems from my college studies of sociology. I claim no credentials as a historian - that has never been my strong point. This is a personal observation with an invitation for others to share their thoughts or research.